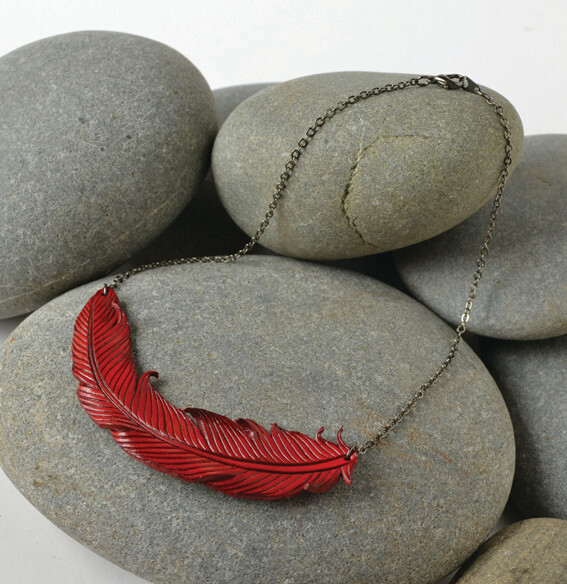 Nadine has always had a fascination with feathers. 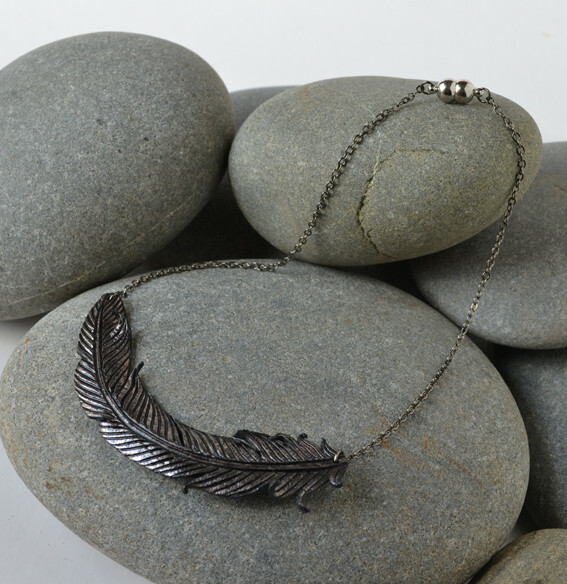 "I am intrigued by their natural beauty and the fact that they have a long held meaning for many cultures". 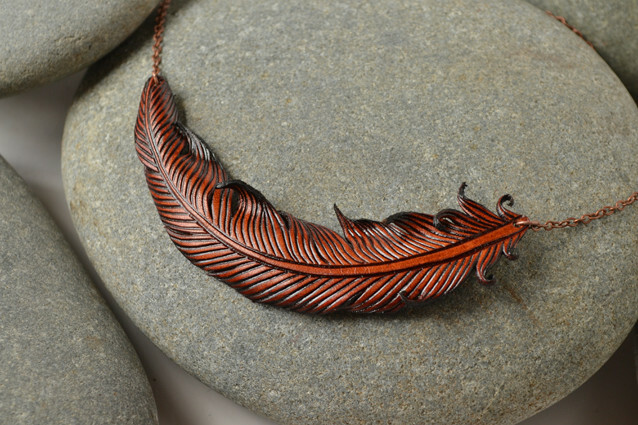 These feathers are individually carved out of vegetable-tanned natural russet leather. They are hand dyed and sealed. 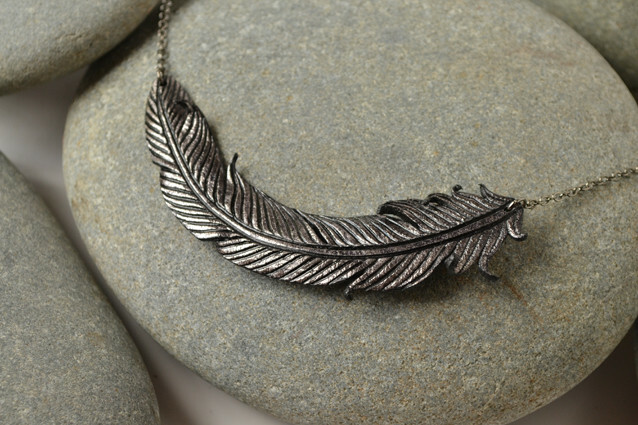 As each feather is hand carved one at a time, you will end up with your own individual piece. 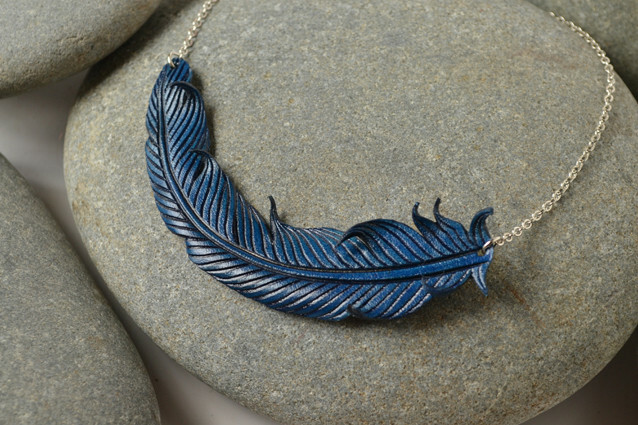 The feathers may vary slightly to the images seen on this website. 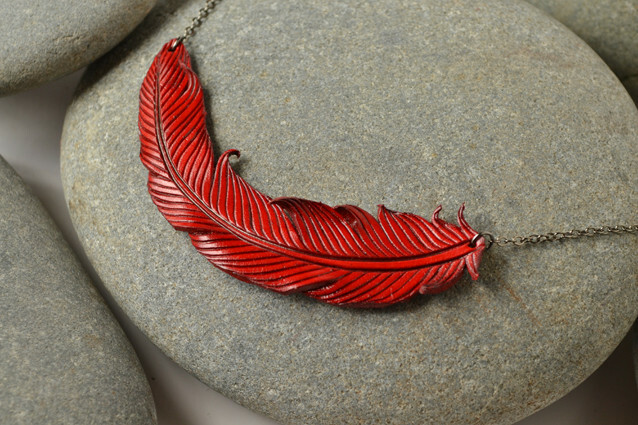 These necklaces are available in a range of sizes, 16 inch, 18 inch and 20 inch. 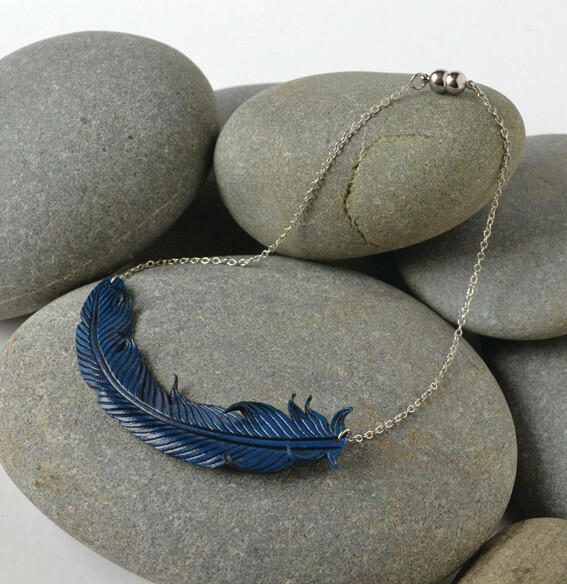 They come with the option of a user-friendly magnetic clasp or a parrot clasp.